The last New Moon symbolized a time of testing. Personal relationships may have suffered during this time of testing over the past several weeks. Often times after a storm has been weathered, it is necessary to undergo some repairs or maintenance, especially within relationships. To maintain the link between the vast unconscious realms and the ego (a Moon-Saturn function that supports all relationships) requires periods of maintenance. Saturn is in a position to help with those repairs and to assist you in rebuilding any relationship structures that may have been damaged by the stress of being tested. This might be a good time to formalize, or secure various aspects of your relationships. An area of personal development that we have an opportunity to continue to work with is in the area of personal frustration. The Moon provides skills that we use to adapt to a changing environment. One of the skills that is available to us deals directly with the idea of immature protesting. This would be a type of youthful rebellion based on unrealistic forms of idealism. This is where immature expression and wild reactions take the form of frustration or even violence when the timing isn't right for such drastic measures. The type of action that is called for to harmonize the frustration are activities that provide a high level of "Soul nourishment." These are the type of high level activities that in the end provide a sense of satisfaction of both purpose and destiny. If you're not sure of what these types of activities are for you personally, consult your astrologer or intuitive. Under what circumstances does happiness ever have to be conditional? 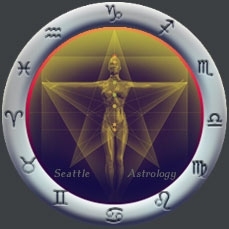 The symbol of Pluto and its relationship to the Moon until the next New Moon on April 2011 suggests that one's individual karma must be accepted in order to be happy. Each of us came into this world at a time when local events, parents, birth location, and world events were already in progress. History was already in dynamic movement the moment you were born. Happiness during this two week Moon period depends on the acceptance of one's own karma and limitations. What must be accepted is one's own natural cycle and the feeling the you are acting as an agent of the Whole in your current station in life.